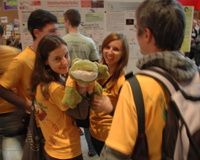 We're currently looking for volunteers who would like to help out during the iGEM 2009 Jamboree (October 30th to November 2nd). If you're an iGEM alum, interested in synthetic biology, or would like to take a peek at what we're doing at iGEM and the Registry of standard parts, we'd love to have your help. Check out the volunteer page to see how you can help. We need help planning iGEM 2009 Jamboree social event! Check out the social event planning page to see how you can help. 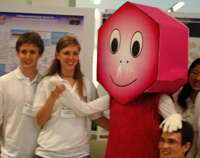 Early registration for the iGEM Jamboree is over. Jamboree attendance fees are now $225 for high school students and undergraduates and $425 for all others. All iGEM team members that are attending the Jamboree must register by October 2. See the Jamboree attendance fee page for details. 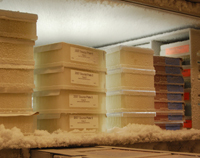 Fees increase $50 after the September 18 deadline! iGEM Headquarters is always looking for new iGEM sponsors. 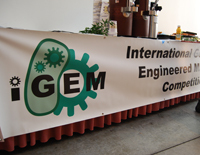 Would your company like to become an iGEM Partner? 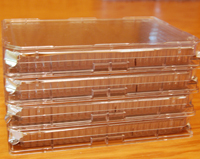 Sponsor your local iGEM spring workshop? Sponsor the iGEM Jamboree social event? 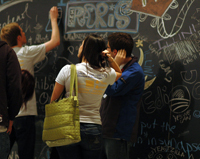 Special: sign up now to sponsor iGEM 2010 and get iGEM 2009 recognition. See the Sponsorship page for more details.